El resultado ha sido un galardonado desarrollo (Ganador del Premio de la propiedad CNBC International) que se ha ofrecido en Architectural Digest por su diseño y estilo innovador. Este condominio de dos dormitorios y dos baños se enfrenta a una piscina de largo infinito como con una vista que se extiende hasta la bahía y el horizonte. El interior ha sido decorado profesionalmente e incluye piezas de mobiliario a medida, tales como mesas de noche de ónice iluminada, 5.6 "espejos de pie, y cabeceros ingeniosos. Teniendo en cuenta que la unidad está orientada al oeste y se encuentra en un nivel inferior, uno nunca tiene que salir de uno de asiento para ver la piscina y la bahía. Uno puede simplemente relajarse en el sofá de cuero o de cocina taburetes italianos confortables y ver el mundo pasar sin ni siquiera tenga que subir a las ventanas de piso a techo o en el balcón para mirar abajo. Easy to manage and perfectly explained everything, this fantastic property is recomendable to enjoy the visit to Puerto Vallarta. It is absolutely perfectly located and the service is perfect. Marcos was always available and very useful, and owner was always paying attention on our time here. We just returned from our third wonderful trip to Steve’s condo. 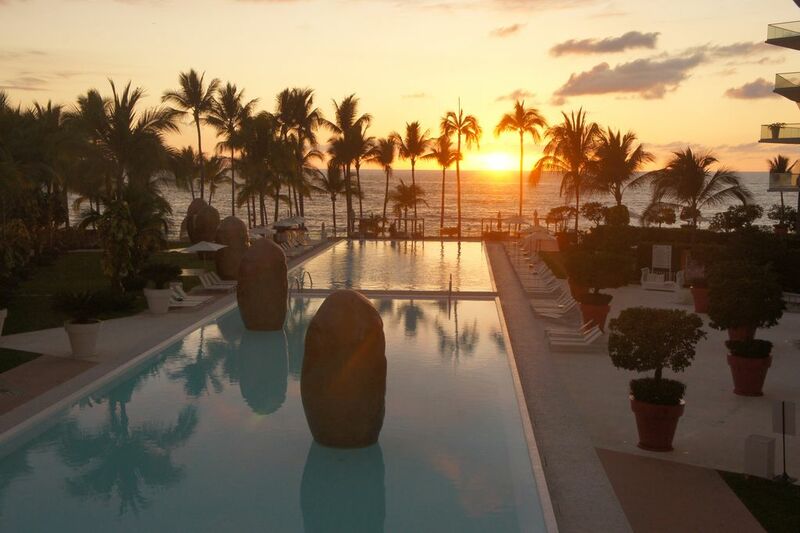 We are always blown away by the gorgeous details in the suite and beautiful view of the pool and ocean. The Icon grounds are so pretty and our 3 year old was in heaven with the large pools, playground, and beach. The location can’t be beat - a quick ride to the Old Town with great restaurant options nearby. We can’t wait to return! This is a very nice condo in the ICON, which is an excellent property. The unit is equipped with the utensils, pots and pans, glassware, appliances and towels that you need to enjoy your vacation. The food service on site is very good, and not costly at all. We came in March and never needed the AC because of the fresh ocean breeze that flowed through the unit. The staff and people we met were very nice. All in all, it was a great trip to Vallarta and we stayed at a great condo! I recommend it! The condo is gorgeous, and the view is amazing. I really enjoyed relaxing on the giant balcony, and watching the sunset. The condo is extremely well-stocked, and beautifully decorated. The complex is fantastic, with wonderful pools, and everyone was very friendly and helpful. We really enjoyed the location as well. It is an easy walk to the grocery store, as well as some restaurants and shops, or a quick taxi ride to the Malecon or Marina. Steve was extremely responsive, and super easy to work with. I highly recommend this condo for an amazing place to stay in PV!